Description: TECHNICAL UNIVERSITY of Sofia (TUS) is the largest higher engineering school in Bulgaria with long years of experience in training engineers. Founded in 1945 as State Polytechnic and renamed in 1956 into Higher Institute of Mechanical and Electrical Engineering, in 1995 the Technical University of Sofia was set up. Since then, 55 000 engineers have graduated and contributed to the development of Bulgarian industry with the knowledge and skills acquired here. Through its representatives, TUS participates in the activities of many international scientific organizations and TUS has signed cooperation agreements with 42 Schools of Higher Education in 16 countries. The main Faculties related with Energy field are the Faculty of Electronics and Technologies, Faculty of Automatics and Faculty of Electrical Engineering, through their Laboratories and specialists. The Research and Development Sector (R&DS) is a unit of the TU Sofia whose tasks are related to the organization, administration and service of the research activities under contract with the National and International research programs. Description: The research of the PESL focuses on power systems for wireless charging - e.g. of EV Li-ion batteries. Also flexible control of the high frequency (HF) inverter and interference generated by wireless power transfer equipment in a specific frequency range are current topics. Description: The Power Electronics laboratory is equipped with physical models of different type electrical energy converters and the measurement apparatus for investigations: AC/DC, DC/AC current or voltage inverters, DC/DC converters, Active power filters, Digital oscilloscopes, Power Quality Analyzer, Simulation Software, Control Systems, Computer systems for modeling the power electronics devices. Wind generator physical model stand is realized. Hybrid installation of a LV microgrid including two SMA inverters for Network connected and Island operation, battery storage, controllable AC loads Chroma AC 63802, monitoring with Internet connection. In 2012, the installation was equipped with a SCADA and SIEMENS PLC based Control System. The lab is in operation since 2002 and currently run by 8 employees. 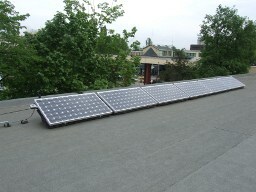 In the lab area of 60m², a power range of 15 kW is possible. TU-Sofia Personal computers -3 p.
Description: Hybrid installation of LV microgrid including two SMA inverters for Network connected and Island operation, battery storage, controllable AC loads Chroma AC 63802, monitoring with Internet connection. SCADA and SIEMENS PLC based Control System. Description: Laboratory on Renewable Energy Sources. Equipped with a hybrid system with different energy sources. Study of RES characteristics and hybrid systems behaviour. Description: Meteorological station for measuring and storing data for temperature, global radiation, wind speed and direction, pressure, humidity. Description: Wind generator with induction generator. Description: Meteorological station for measuring and storing the data for temperature, global radiation, wind speed and direction, pressure, humidity. Description: Precision multimeter, TRMS AC and TRMSAC and DC. Description: The research focus of the Electrical Power System Stability Laboratory is in the area of modeling, analysis and management of multiple node Smart grids and Electrical Power Systems with Distributed Energy Resources (DER) and Electric Vehicles (EV). Using a specialized software and hardware research platform, power system stability, reliability, security and interoperability tests of multidimensional distribution networks and microgrids with EV and DER are performed. 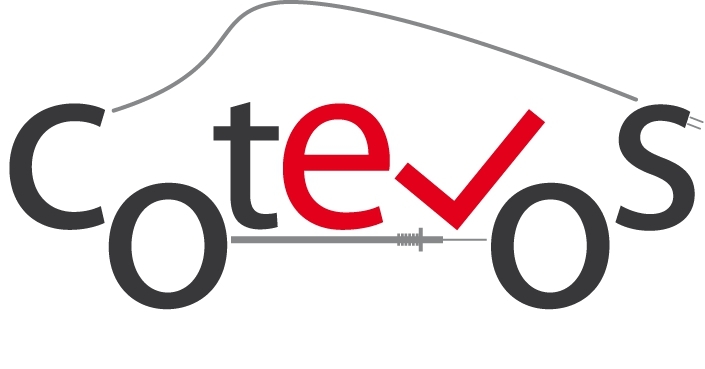 The computational platforms allow static and time domain estimation of the impact of EV charging, DER control and smart load and storage control strategies on the network. The infrastructure allows also power system stability studies in case of cyber security violations. The lab is in operation since 2006 and currently run by 3 employees. In the lab, a power range of 15 kW is possible. Description: The laboratory for Communications, Process Control and Energy Efficiency in Industry Laboratory (CPCEEIL) (Fig.1) is a part of Faculty of Automatics of Technical University of Sofia. The laboratory consists thermal heating system, chemical reactor, vacuum furnace, pressure box for paper industry and other physical models of real industrial equipment. The control systems are PLC based process control systems. All of the facilities are equipped with individual electrical power analyzers. The control systems are networked with PROFIBUS, PROFINET and MODBUS TCP communication interface and are included in a central SCADA system. The laboratory is equipped with industrial HMI panels for process control. Algorithms for energy saving process control, demand side energy forecasting and electrical loads control and optimization are developed and tested in the laboratory. The algorithms are implemented in programmable logic controllers (PLC). OPC, SQL and FTP servers are installed for data acquisition and secure data transfer over the Internet. Support of IEC61850 and IEC60870 protocols is included. Data mapping between SIMATIC NET process data and IEC61850 in done in the laboratory. The lab covers an area of 40m² and is currently run by 4 employees. In the lab, a power range of 10 kW is possible. Description: High Voltage Laboratory consist of stands for testing technical parameters of electrical equipment - HV AC test up to 332 kVrms; HV impulse test up to 750 kVm; HV DC test up to 125 kV; High current test up to 25 kArms; Measurement of Power Quality; Study of partial discharges; resistivity, capacitance and tan of electrical insulation; electrical breakdown of solid, liquid and gaseous insulations; monitoring of condition of electrical insulation in service. Stands for real-time simulation of synchronous generator interconnection to electrical network with power factor regulation and for transition process’s testing of DER interconnection to electrical network are available. Description:Precision multimeter, power meter and power disturbance measuring instrument with integrated memory for universal use in the field of energy electronics, and for high bandwidth electronics application. Description: Multifunctional digital measuring instrument for low voltage electrical installation safety testing. Description: Advanced Control Systems Laboratory is oriented to research and applications in the area of real- time control and simulation. In the area of the proposed research ACSL has expertise in control of small water turbines and huge expertise in the area of modeling many kinds of objects including power generators. ACSL has expertise in computerized modeling (fully numerical and mixed numerical and electronics) of objects for testing and experimental purposes. New research trends in the area of modeling are based on FPGAs& fast computers (incl. DSPs) models. Infrastructure includes specialized computer equipment for modeling industrial objects (based on SBC, FPGAs, DSPs and RISC), developing systems for abstract models representation, implementation and testing. Description: Measurement of capacitance and tan d, volume resistivity and surface resistivity, electrical breakdown of solid, liquid and gaseous insulations, study of partial discharges. Description: Simulation software for analysis of power electronic circuits and devices. Description: Computational platform for power system analysis. Description: Planning and information system software for electrical transmission, distribution and industrial networks. The laboratories are certified according to ISO9001:2008 and ISO 50001. Research on network connected and island operation of hybrid installation with controllable loads and storage. Research on power flow in the hybrid system – steady state applications, methods and models for distributed systems with improved power factor relatively to the electrical network. Implementation of Active Power Filters for improvement of Power Quality and Energy Efficiency. Computer aided design and simulation with MATLAB, PSIM, PLECS and OrCAD Design Centre of DC/DC, DC/AC and AC/AC converters. Measurements of the Active power/Apparent power/ Reactive power /Power factor/Displacement power factor/Voltage/Current/Energy usage and Total Harmonic Distortion (THD) in compliances with IEC 61000-3-2/EN 61000-3-2. Electronic energy converters for power systems. Modeling, analysis and testing of multiple node Smart grids and Electrical Power Systems with Electric Vehicles (EV) and DER. Time domain tests on the interoperability between distributed charging devices and electrical networks with DER. Estimation of the impact of different charging concepts on electrical network state parameters. Analysis of bidirectional inverter-charger mobile applications considering their power management capability. Analytical stability and grid interoperability testing of multi node electrical grids with DER and EV charging units. Low voltage and middle voltage distribution networks smart power management tests. EV bidirectional smart charging strategies testing. Primary, secondary and tertiary power system regulation. Estimation and testing of smart load load control strategies. Short and mid-term PV generation prediction. Grid overloading and congestion management. Smart bidirectional EV charging tests. Micro- and nanogrid operation components testing. Electricity consumption and power production forecasting and optimisation. Industrical and domestic loads optimal control. Energy monitoring and managemant systems including ISO 50001.
International Journal of Distributed Energy Resources and Smart Grids, vol.11, no. 3, pp.195-210, 2015. IEEE International Power Electronics and Motion Control Conference (PEMC), pp.492-497, Varna (BG), 25-28 September, 2016. IEEE International Power Electronics and Motion Control Conference (PEMC), pp.1034-1040, Varna (BG), 25-28 September, 2016. IEEE International Power Electronics and Motion Control Conference (PEMC), pp.286-290, Varna (BG), 25-28 September, 2016.
International Review of Electrical Engineering (IREE), vol. 11, no.5, pp.526-534, September/October, 2016.
International Journal for Engineering Research and Applications (IJERA), vol.6, no.3 (part 6), pp.77-79, March, 2016. 19th International Symposium on Electrical Apparatus and Technologies (SIELA), Bourgas, (BG), 29 May-1 June, 2016.